If you want to add a crossbow scope and want to go over your head with the biggest of them all…don’t! No matter how much they tell size matters, it’s important not to add too much size and weight to your crossbow. After all, you still want to move around and get a clear shot. To be fair, it’s better that you go with a not so heavy nor too large crossbow in the first place so when you add the scope you don’t end up on the ground after few minutes. Mainly, try to remain calm and get a crossbow scope that fits your crossbow so that you can mount it properly. The scope has also to fit your crossbow case, which is why it’s essential for you to check the dimension before sealing the deal. Instead of looking for the biggest scope, you’d better throw an eye on the magnification. The strength of the bow and, even more, the clarity of the magnified image should count the most. It’s the crispness and details that make the difference in your shot and you need to…focus on that. Take a closer look to how good the optics are and always go for the multi-coated optics as they give the best light transmission. Fog-proofness is also something you want and the quality of reticle is not to overlook. Go for the scope that gives you range compensation markers for all the ranges of your typical shoots. As you can see, there are many things to look for when getting a crossbow scope. The field of view through the scope (a generous field means more room to scout), the light gathering ability (don’t go any less than 92% light transmission), the ease of sighting in are also essential when choosing the scope. In addition, if the scope is very easy to mount, you got yourself a winner. Well, as long as it’s durable just as well! Going shopping for a good crossbow scope is no picnic, but thank God, it’s not impossible nowadays to find really good ones for quite a low price. It’s the case of the Raging River Crossbow 4X32 Multi-reticle Scope that surely doesn’t come with performant features, but it manages to be dependable and simple, yet highly efficient when out in the field. The scope has a variable magnification of 4 times and it features 32 objective lens. It also features a Pro-5 Step Reticle for aiming reference and unlimited eye relief. 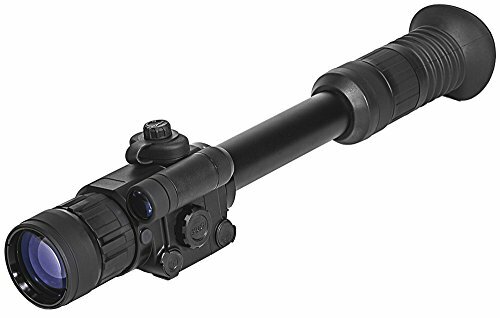 We think the scope is dependable as it also presents an aluminum alloy and anodized body, with a non-reflective matte finish which sure make it durable and nice looking altogether. The scope comes with rings, lends, and rather stiff turrets. You don’t actually need a screwdriver to adjust them and the scope is easy to use. Even though the scope is not an illuminated one, it performs rather well also in dim light conditions. It gives sharp, clear images and the marks are easy to see. As long as you are aware of the fact the scope presents some good things and some limitations, we think it’s worth to spend for it, especially if you’re new at shooting. Easy to mount and accurate, the Truglo Crossbow Scope 4X32 with Rings APG doesn’t surprise when it comes to its performances, but it sure makes a good impression when you check up its price. The scope features a special range finding and trajectory compensating reticle, ensuring 4” eye relief. The lenses are fully coated and give great brightness, clarity and contrast-, which is so important on a crossbow scope. The scope holds its zero and has a good ranging also. The magnification and the view are great just as well. The image is clear even in light conditions. The small details on the scope sure increase its value. The rubber-eye guard brings comfort, whereas the fingertip windage and elevation adjustment’s placement (under screw down caps) is well thought out. The leaf spring for windage and elevation adjustments is long lasting. As the one-piece tube is made of aircraft quality aluminum, we can sure decide it’s a durable scope. The scope has a solid build, but it looks nice. It’s very easy to install and to use. All in all, for a very good price, you get a reliable, accurate, nice looking and durable crossbow scope. There are many things we like about the Nikon Bolt XR Crossbow Scope Black Matte and the brightness you get in low light conditions is one to begin with. The scope comes with typical features for the good quality crossbow scopes that make it efficient and dependable for most conditions. We notice the fully multi-coated lenses that bring clarity on the images, the large ocular with fast focus eyepiece and the lightweight design. The scope is fog proof, waterproof and shock proof, which means you, can take it out on the field, even on bat weather. As for the magnification performances, we need to mention the 3 to 32x magnification and 32 mm objective lens. The scope is able to give 92% of available light for contrast and brightness and features zero-reset turrets. The advanced BDC 60 reticle gives you accuracy for aiming out to 60 yards. When we go through the features, we also notice the quick-focus eyepiece and the 3.4inches of eye relief. Any adjustments you need to make on the scope are easy to do and the scope is fairly easy to mount also. It matches almost any crossbow velocity and has a long lasting build. Despite the minor issues, for the many good features it presents, the scope is a dependable tool to consider when shopping. The more you are willing to pay for your crossbow scope, the more you can expect from it. 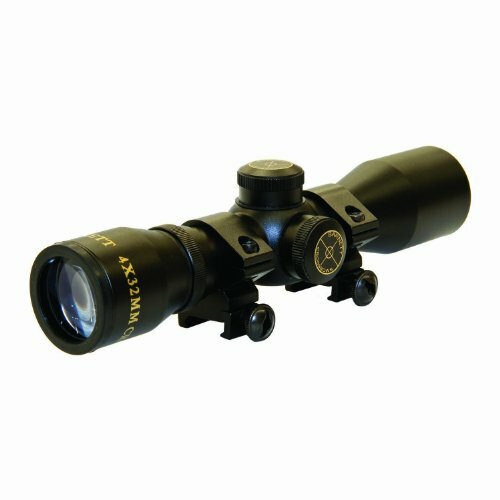 The Hawke Crossbow 1.5-5X32 IR SR Scope with Illuminated Circles sure brings to the table high performances and crossbow specific. The scope actually features a crossbow speed selector so it may match any bow. The 1” optics are entirely multi-coated so you get high level of light transmission, for both colors (red and green). This actually means you get good light on both red and green light. The details on the target seem crisp and clear and the wide angle view at 100 yds. helps you with the clarity of the area. The reticle is highly accurate and is designed to offer aim points at precisely 10yd. intervals from 20-100yds. When we look and the magnification, we notice 3×32 magnification that helps the distant targets seem closer enough for you so that you can send your arrow. We like the scope as it holds easily zero and you don’t need to reset it. 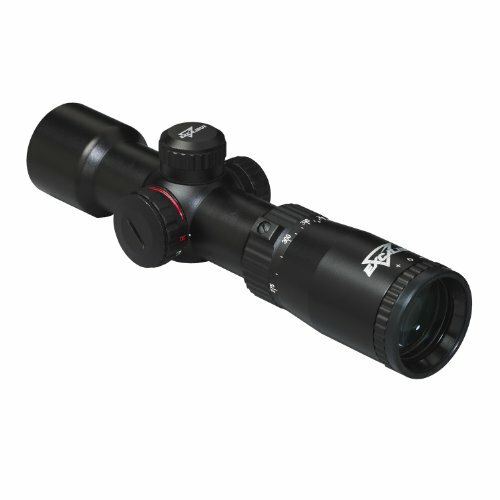 The scope has a strong build and sure can take the challenging weather conditions. The several adjustments that you can do with the bow increase its reliability and versatility. You can make adjustments for wind and elevation so you know exactly where to point the crossbow. In addition, you only need to turn the turrets on the scope to do that. The scope is lightweight and easy to mount on most crossbows out there. It doesn’t disturb the balance or the stability of your crossbow either. All in all, for the great accuracy and several adjustments you can make so easy, the scope is a reliable tool to try for a better aim. If you plan to only buy once a crossbow scope, you’d better do it with the Excalibur Twilight Dlx Scope Multirange Reticle, as it’s durability that counts the most on this one. The scope is designed for the dedicated hunters that need a strong model, with high performance optics. The strength and durability surely come with the price, as the scope is larger and heavier than most models out there. However, it’s sure worth it when you take a look at the images that are crisp, clear, even in low light conditions (or should we say especially in the twilight?). The build of the scope fit its durability and the scope is made to last for a long time. As a matter of fact, the scope is made to take the most challenging weather conditions, but also the packing with no worry for accidental damage. The body is made of durable aircraft grade aluminum and can take some falls. Just keep in mind to reset the calibrations afterwards. The scope is water resistant and doesn’t fog as fast as you’d think, even in the early mornings. Schock-proofness is another quality of the scope that we need to mention. The multi-coated lenses on the tube are 44mm and 30 mm, which gives you nice clarity of the targets. The lens are made with Leopold glass and this brings amazing value. The 6xmagnification, the 500-foot range at 100 yards are also numbers that count on the scope. The illuminated reticle is so helpful in low light conditions. Despite its size and weight, the scope is rather easy to mount on your crossbow, but you do need to get 30mm D-rings. The scope is easy to sight-in and adjusts to your bow’s speed, between 300 fps to 400fps. It features two dials to adjust also wind and elevation. The dial for setting the velocity increases the accuracy that you always need on the field. Let’s not forget the scope sure holds its zero and you don’t need to reset it often. Nevertheless, for its durability, reliability and accuracy, the scope is a great asset for any dedicated hunter that really knows what he’s doing out there in the field. When in need for a reliable night vision scope for your crossbow, don’t hesitate to give it a shot with the Firefield FF16001 NVRS 3x 42mm Gen 1 Night Vision Riflescope. 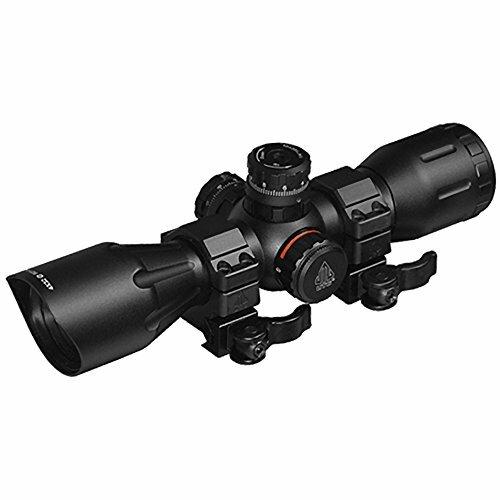 The scope features a reliable 3-x magnification and comes with a built-in, powerful IR illuminator. The illuminator increases the image’s details and view of range in complete darkness. It has a solid, durable titanium body and takes the heavy-duty use. Despite the titanium body, the scope is lightweight and easy to use. As for the image’s clarity, we have to mention its high quality and the resolution. The incremental reticle brightness is easy to adjust so that you may adjust fast, on the move, to the surrounding environment. In addition, you may always use the user manual in case of some troubleshooting. The quick detach weaver mount lets you easily change the optics or switch to iron sights, while keeping the return-to-zero reliability. The 42 mm lens make the scope able to get more light and the flip-up lens covers open for the multi-coated optics. The scope is well made and is easy to use. 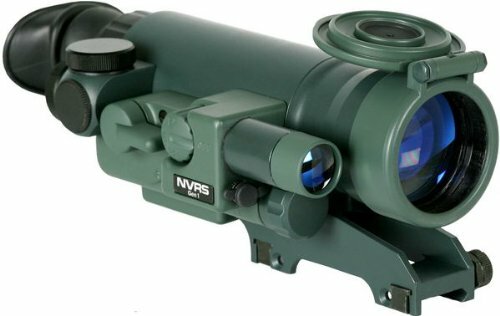 Nevertheless, for the reliability it brings during night vision, the scope is a great tool for an avid hunter. There are no surprises when we talk about Sightmark Photon XT 4.6x42S Digital Night Vision Scope. Ok, the price may take by surprise, but considering you are planning some night hunting, we’re taking you have to have all the right gear for it, including a night vision crossbow scope. 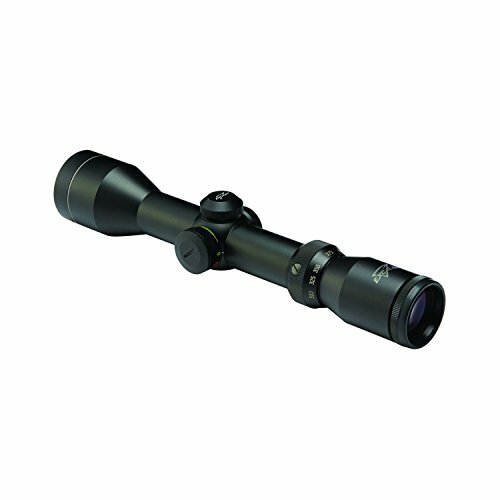 The scope is highly versatile and has an impressive magnification 4.6×42 and a good 4.6 magnification for night vision. The battery life is 33% longer and the scope is actually 30% lighter weight than other digital night vision scopes. You may safely use the scope for accurate placement at medium range. The scope features two crossbow reticles: one for crossbows over 400ft per second and the other one for fps rating at 320, 350 and 370. The digital reticle features option of 6 reticle styles. The large 42 mm objective lens and the 640×480 resolution gives crisp details at up to 120 yards. The scope uses digital windage and elevation adjustment system for more accuracy. The long eye relief and the additional weaver for rail accessories are also important to mention. The scope is shockproof and weatherproof and has a great build. It presents video output and allows you video recording also. The scope only needs 4 seconds to power up and is easy to zero. The settings and coordinates stay remember when changing the batteries. Easy to setup and so dependable for day and night use, the scope is a great asset. Nevertheless, for the clarity and accuracy it brings, day and night, the scope becomes a great choice for any dedicated hunter. 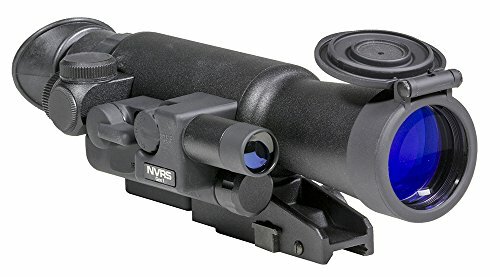 We like many things on the Yukon NVRS Titanium 1.5×42 Night Vision Scope, as it is not only its durability or performance at night that make it a reliable option for night hunting. The scope uses enhanced options and has a titanium body, which makes it long lasting and heavy-duty, ready for the intense use. Even though it is so strong, the scope still has a sleek and ergonomic design. The long mount of the scope gives you comfort when hunting, but increases its versatility as it may accommodate so many types of rifles and crossbow. The 42mm lens ensure higher resolution and more light gathering, whereas the flip-up lens covers open for the multi-coated optics and the illuminated reticle. The view range is pretty wide thanks to the pulse built-in infrared illuminator that doesn’t consume your battery either. You can’t see the pulsing, but the illuminator may penetrate longer distances. We like a lot the scope has is digital camera adaptable with digital camera accessory and other accessories that you need to buy on your own. There are many features on the scope that give its value: the on/off remount control, the adjustable lit red-on-green reticle, windage and elevation easy adjustments. The scope is ready to use right out of the box and the controls are easy to find in the dark, when coyote hunting. The crosshair is good and the scope keeps its zero. The scope has an IPX5 rating when it comes to water resistant and this is quite an asset for a scope. No matter the cons, when in need for a long lasting scope for your night hunting, the scope is worth to try. One of the great things of marketing developing so fast nowadays is that you can find really good things for a very good price. Therefore, when you go shopping for a crossbow scope and don’t want to pay more than $100, it’s not quite mission impossible anymore. The UTG 4X32 1″ Crossbow Scope, Pro 5-Step RGB Reticle is a great example of how good quality doesn’t come with the highest price out there. 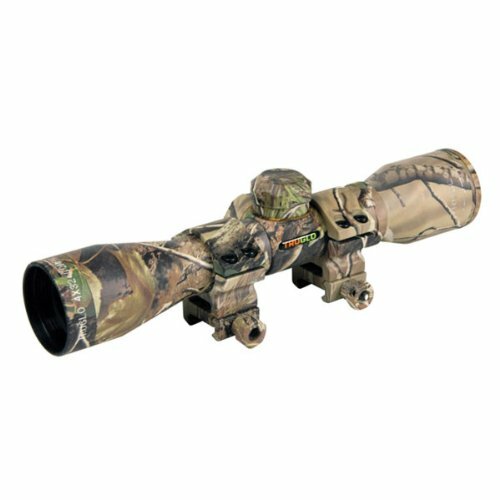 The crossbow/air gun scope is built on TS platform and comes with plenty of features that give you accuracy on shooting. The 1” tube, the wide angle and the parallax at 50 yds. mean you can shoot quite far precisely your arrows. The broadband lens coating give clarity to the image as it does the Pro 5-step reticle. The RGB Side Wheel illumination make the scope reliable even in low light conditions. The scope easily gets to zero reset and the locking W/E knobs work smooth and allow easy adjustments. As for the flip-open lens caps, we can only enjoy the efficiency this feature brings. The eye relief on the scope is quite forgiving and the scope is easy to adjust and to sight in. the lever locking scope rings work good. The reticle is two color illuminated. The scope has a small profile and looks good. It has a solid build and is accurate out on the field. All in all, for less than $100, you get a reliable, accurate and easy to use crossbow scope. Bringing a very compact shape and clarity for your images, the Excalibur Tact-Zone Illuminated Scope is a tool that may complete the performances your Excalibur crossbow. The scope is designed so that it perfectly matches Excalibur’s compact Matrix series crossbows. As a matter of fact, it’s a standard equipment for the series. The Tact-Zone scope has many features that we like: the updated reticle design, the 30mm tube, red/green rheostat illumination, the etched reticle construction and the multi-coated lens. All of them give a clear image and more efficiency for your shoots. We like the scope also because it presents adjustable speed, from 275fps to 410fps. It features half-inch click adjustments at 20 yards so it’s easier for you to sight in. the adjustment dial is efficient and so does the brightness control. The zeroing is fast and accurate thanks to the red and green dots on the scope. The illuminated yardage is so helpful in dim light conditions. The scope has a durable build and is not only water/fog proof, but also takes some falls as it’s shockproof. Despite the minor drawbacks, we still think the scope is a great asset for your Excalibur crossbow. Just because you don’t have or you don’t want to spend the extra buck for a crossbow scope, doesn’t mean you have to end up with a pickle when shopping. The Aim Sports 4X32 Compact Rangefinder Scope with Rings is a great little tool that easily fits your crossbow, giving you accuracy when out in the field. When we go through the details, we see the magnification on the scope is 4x and the tube diameter is 1”. You may get precision as far as 100 yards and the eye relief is 3 inches. The scope is easy to mount and to sight in. the adjustments you can make on the scope aren’t difficult to make either. The tiny, fixed power scope manages to be reliable even when used on your crossbow. The dials runs smooth and the adjustments are pretty good. You may also secure the adjustment cover by pushing down when tightening the cover. Even though it’s small, the scope is strong and may be handy when vermin hunting, for instance. All in all, for the little money you pay, you get a pretty reliable little tool to use on your crossbow for more accuracy. You may be surprised by the accuracy and efficiency of the BSA 30mm Red Dot Scope with 5 MOA, and the red dot scope sure brings plenty of good features and only few minor issues to consider. The 5 MOA red dot features 11-position rheostat and comes with standard 3-volt Lithium battery. And now that we’re here, the battery is sure long lasting and easy to replace. The red dot scope features brightness control for low or bright light, so it’s versatile and easier to use in some specific situations. 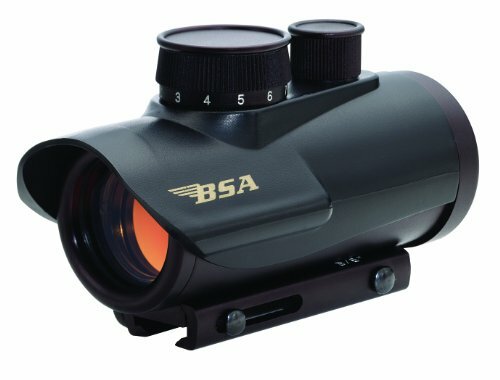 The BSA multi-purpose sighting system is lightweight sight for close quarter and medium range targets. The tool is small enough not only for you crossbow, but also for small calibers and large calibers also. The 5/8-3/8 adjustable mounting system is great for your bow and easy to use. The red dot scope has a good build and is better than expected. It never goes out of alignment and it stays in place after you zero it. The windage and elevation turrets work fine and the red dot is great asset for your hunting gear. Despite the minor issues, for all the good things the red dot scope brings it’s sure a nice option to consider when shopping. 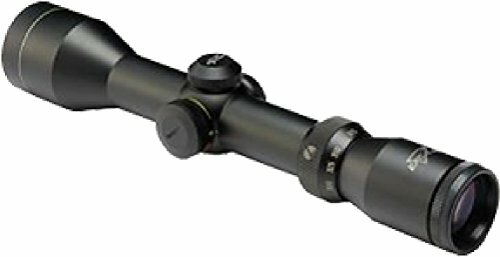 Especially designed and made for your Barnett crossbow, the Barnett Cross Scope w/Rings 4X32mm Multi-Ret 17060 makes it as a dependable option when in need. The scope is compatible with full-sized crossbow from Barnett. When we take a closer look to the scope, we sure get it why it’s such a popular scope. The 4xmagnification, the five-point programmed are features that matters. The multi-reticle crosshair system ensures fast target acquisition. The image is clear and the scope gathers light, becoming quite reliable in low light conditions just as well. The longer yardage, the multiple aim points that are accurate are also to notice. The scope zeroes well and is stable. 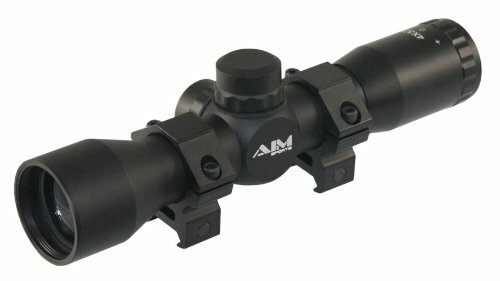 The scope comes with 0.875-inch dovetail mounting rings and is easy to mount. It’s water-resistant and shockproof so it’s durable and ready for the intense use. The scope is well made and has a tough body. It comes for a great price, which may be the most important detail for some. Nevertheless, for a very good price, you get a reliable, easy to mount and to use Barnett crossbow scope. As we were going through the illuminated crossbow scopes, our attention was caught by the Excalibur Shadow Zone 2-4X32mm Scope. The scope is designed for the crossbows shooting from 250 to 350 fps and it’s easy to use calibration ring lets you adjust it to your bow’s speed. We like the scope right from the very first look and its shape, size and weight sure make it easy to store and carry around, or fit in your crossbow case. The scope comes with 32mm objective lens and has zoom abilities from 2x to 4x, which is quite good. It may not be the most powerful scope out there, but it’s a great choice when deer hunting as far as 60 yards. The scope is parallax-free at 30 yards and brings impressive resolution, clarity, no matter the zoom level. The optics on the scope are entirely multi-coated so they are resistant to reflection, glare and water repellence. As for the multi-range crosshair reticle, we notice the aiming points for 20, 30, 40 and 50 yard shooting. We like a lot the resolution on the scope, the crisp and clear images and the nice contrast, no matter the magnification grade. It’s so easy to spot your deer when using the scope. As for the illumination on the reticles, we mention it’s available in red or green and presents 5 brightness settings for each color. So, no matter the light conditions, the brightness settings make the scope reliable, especially in low light conditions. The field of view is around 46’ at 100 yards with 4x magnification. The scope gathers almost 92% of the available light, which is quite a good number. The scope doesn’t come with rings and you need the 1” type for mounting the scope. Nevertheless, the scope is easy to mount and it’s better to check the eye relief and the field of view before tightening the ringbolts. The scope is also easy to sight in and to use. It presents an aircraft-grade aluminum body, sealed lenses so it’s fairly durable. It’s build to take some accidents as it’s shockproof, waterproof and fog proof just as well. 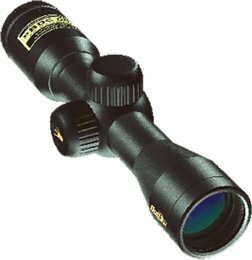 Nevertheless, for the performances it brings in so many hunting conditions, not only on dim light, the scope is a sure buy for any hunter.